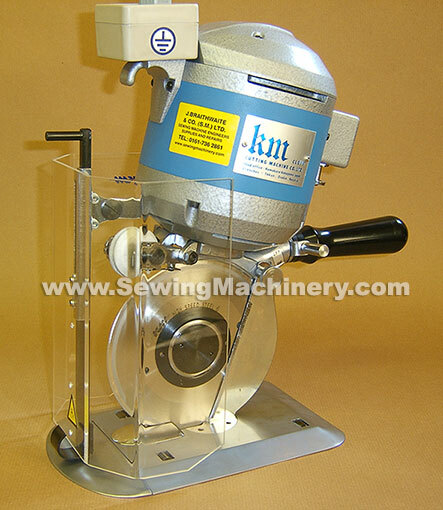 KM KR-A industrial round knife cloth cutting machine made in Japan. With a full die cast housing to reduce weight for easier operation and auto stone emery sharpener to get the most out of each blade. The KRA is suitable to cut general cloth and textiles including woollens, cotton, knit, felt, waterproof cloth, canvas, linens, and various synthetic fabrics. Available as 5" or 6" round blade models.